We talk with 2 of our sharpest Office Coffee minds, Michelle and Mary Beth, on how businesses are investing more than ever into their coffee program. Coffee culture is changing. Long gone are the days where employees drag into work and pour some unnamed blend from a pot that has been simmering for hours. Today employees expect the same coffee shop experience that they have down the street in their office's break room. This shift in culture is being seen all over the nation so we wanted to bring in a couple regular office experts to weigh in on this shifting trend. We visited with Mary Beth Huffman and Michelle Scott two of our stellar Office Coffee National Account Executives to talk about what they're seeing around the country in office culture. How can an office create a “culture” around coffee? New office spaces are now looking at their pantries as collaboration areas. This allows people to get up from their workspace, come to the “coffee café” and have impromptu meetings and discussions. Today, companies are making the beverage program important. And, if it’s important to the business, it’s important to the employees and that culture is focused around coffee, tea and water. What does a business get in return for doing so for its employees? Employee Satisfaction – feeling like they are getting the benefits and perks of a “Best Place’s to Work” business. The business will keep more people in the office verse having their employees leave the office for the local coffee shop. This, in turn, will save valuable productive time. What would you say is the biggest trend right now in office coffee in terms of serving coffee? The biggest trend right now is bean to cup. This gives the companies the opportunity to offer different roasts as well as provide specialty beverages like you would enjoy in a coffee shop. Each cup grinds individually which sends an aroma of fresh coffee throughout the office, really engaging employees into the entire process. Nespresso has recently entered the OCS scene. It gives employees a true, authentic espresso with the option of fresh milk for your lattes and cappuccinos. Tea is the fastest growing beverage segment around the world and hot loose leaf tea has become very popular in your high end, white collar environments. “Steep” loose leaf tea, part of the Bigelow Tea family is a new tea offering on the market. This tea is organic, high end, and affordable for all budgets. 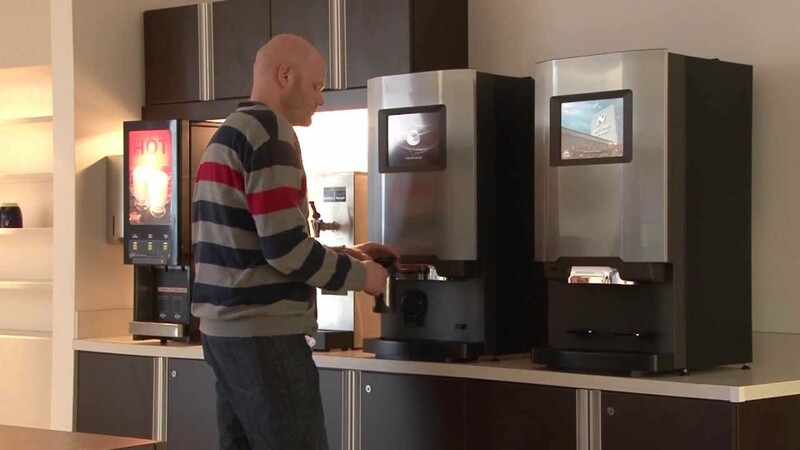 Are there ways offices can tie their coffee program back into their sustainability efforts? Companies can easily dive in to sustainability by offering environmentally friendly paper products to their employees along with considering Organic, Rain Forest Alliance Certified and Fair Trade Coffees. There are also quite a few “Coffee’s For Cause” that give a % of their profits to causes and needs around the world. An example of how Royal Cup has done this is our new partnership with NeverThirst, where Royal Cup will be helping give fresh water to those in need around the world. Our sustainable single cup Roar pods are part of the NeverThirst program. Our clients are proud to drink such a delicious cup of coffee that also has a cause behind it. We talk a lot about office coffee but are you seeing any trends towards people wanting tea (hot and iced) in their offices? For many years, we have concentrated on fulfilling client’s requests for hot beverages. The newest trend involves beverages over ice, Cold Brew Coffee and Iced Tea. For more information on our office coffee program visit our page!